Surprise the people that you care about by sending them a nice good night text. 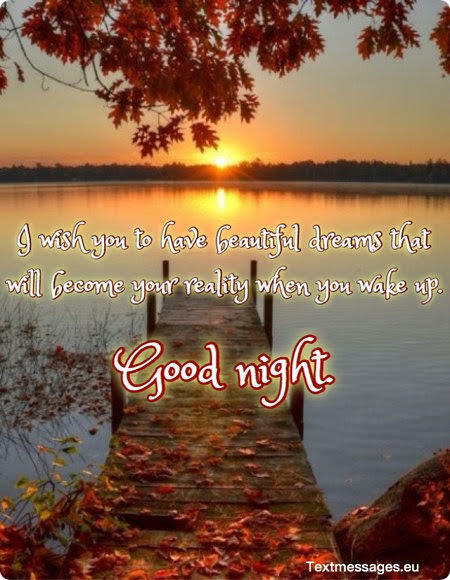 On this page we present you a wide collection of good night messages for friends that you can send. 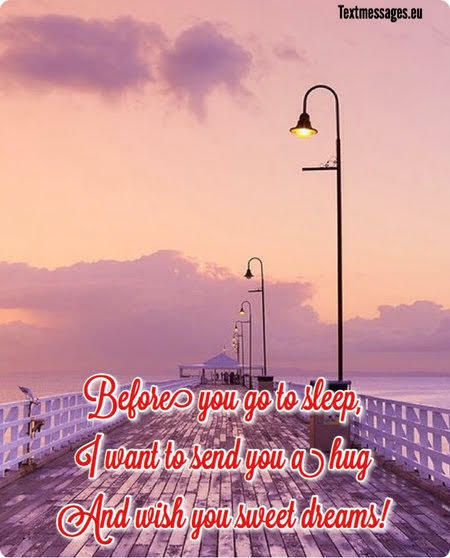 Beautiful good night words will gladden them and make them feel special. 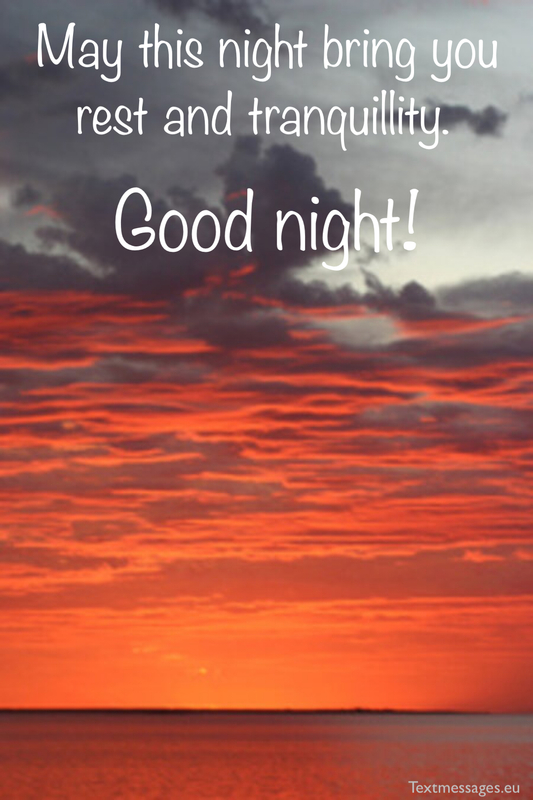 We hope that you will find good night wishes and images that you like. Good night, sleep tight. I hope that you will sleep well and be energetic in the morning. Every time you close your eyes and fall asleep, may you have only good dreams. And every time you open your eyes in the morning, may the reality be also great! Good night. I can’t believe that this long day has come to an end. After all, wishing you to rest and recover. Sleep is necessary for our beauty! A really good night is when neighbours are calm and their dog is not barking all night long. I wish that nothing could interrupt your precious sleep, until the morning sun shows up. Good night! Are you ready for a sleep? Don’t hurry and let me wish you sweet dreams. Hug you. 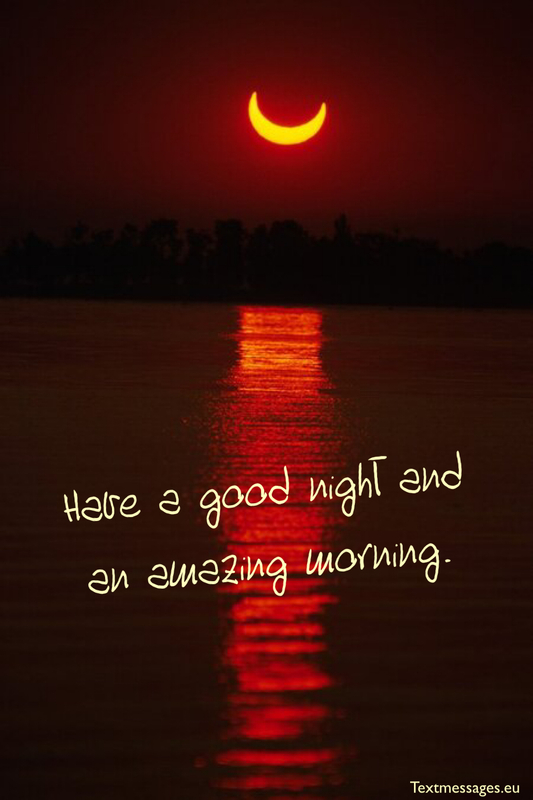 May an amazing day be followed by a really good night. May all the troubles and concerns just go away for a while and don’t disturb you in your sleep. May this night bring you rest and tranquillity. Good night! Good night. These two simple words really make difference, because they mean that you’re not alone and there’s always someone who guards your sleep. Sleep tight and don’t worry about a thing. This night is so bright and full of stars. May you have a dream as beautiful as this night. Kisses! Close your eyes and calm down. It’s time to take a rest. Good night! It‘s dark outside. Your bed is already waiting for you. Wishing you comfortable sleep. Take it easy! At this night I wish you that your sleep would be perfect. You are worth a comfortable bed and warm comforters. Relax! I realize that the sun has set, I understand that you are tired, but I can‘t understand how could you fall asleep if you haven‘t wished good night for somebody. Sleep well. And keep a smile for tomorrow! Winter has brought quietness. The frogs, hedgehogs and badgers fell asleep, and the bear is sleeping tightly too. 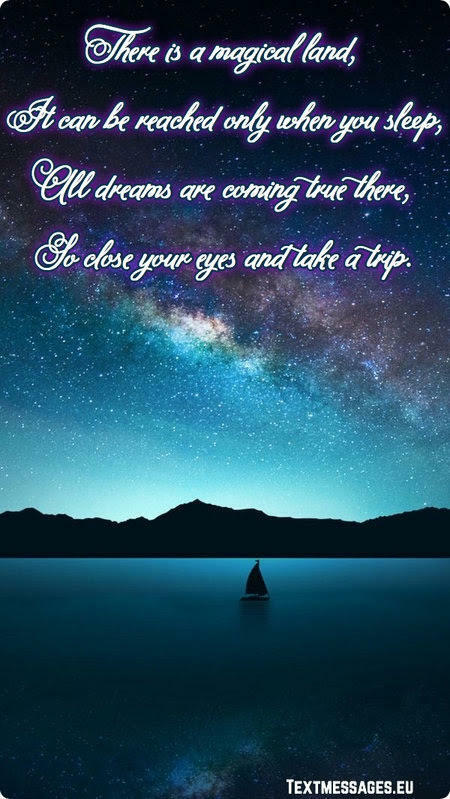 Close your eyes and peaceful dreams will come to you. And I will invite you to a beautiful dream. Tonight he promised to visit you and send my words “Good night, sleep well”. Wishing you good night and sweet dreams. Take a rest. See you tomorrow! May one of them bring you the most wonderful dreams. Dream about everything you cherish. Along with a “good night” message from me. Close your beautiful eyes, relax and don’t think about anything. Do you feel something? Someone gently touches your lips..
Do not be afraid… It’s me, kissing you and wishing “Good night”. At this late evening I want to wish you a good night and recover your strength. Sweet dreams! In this silent night you are not alone. Feel my hand holding yours, even if we’re miles apart. Our friendship is stronger than any distance, and I want you to remember that I will always be with you no matter what. Good night, sleep tight! The Moon and the Stars only appear in the night, but our friendship is with us all day long. 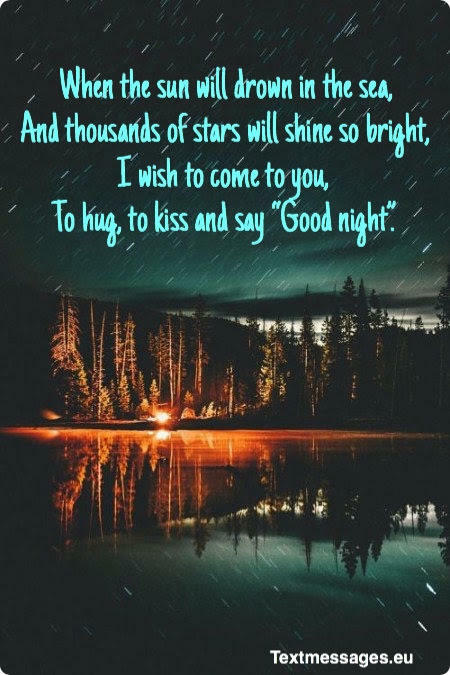 May this night comfort you with its soft shine, may your dreams be sweet and beautiful. Good night, my dear friend! The night is long and dark, but it means nothing as long as our friendship shines through this endless darkness. My love for you is everlasting, may it comfort you as the Sun goes down. Sweet dreams, dear friend, and good night. Just as the Moon lights up the night sky, you light up my world like nobody else. Being your friend is the biggest blessing I could ever receive from God. Stay strong. Good night, sleep tight, fella. Close your eyes, take a deep breath and calm down. You have a whole night to sleep. Enjoy it! Let the melancholy of the darkest hour turn into beautiful harmony. Sometimes people need to be alone, think about their life goals and future. I know you are capable of anything. I believe in you. Now take a rest, have a good night. When I think about our friendship I smile from ear to ear, because you are the sours of all of my happiest memories. God bless the day we met each other. May your body and soul rest in harmony. Good night, dear friend! You have to use your phone a little bit less, fella. So, after reading this text, you are to put away your mobile and close your eyes. Let your body and soul rest in peaceful silence. Sleep tight, good night, darling! You are never alone in the night. You always have demons under your bed and ghosts looking at your window. Do you feel better now? I bet you do, mate. 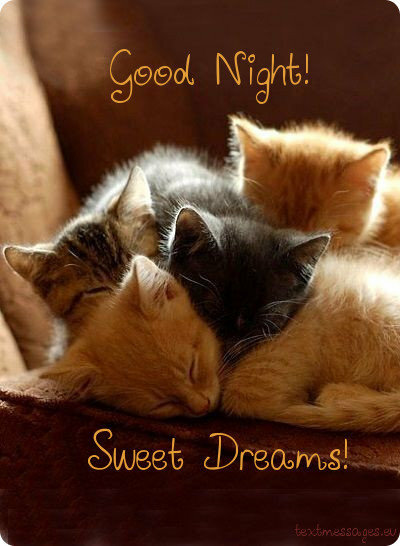 Sleep tight, have the sweetest dreams! 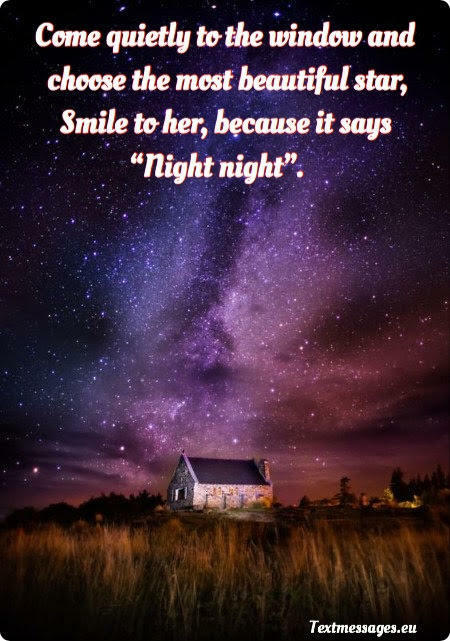 Smile to her, because it says “Night night”. Brushing your teeth before sleep is a ritual, just as important as texting each other as the Sun goes down. 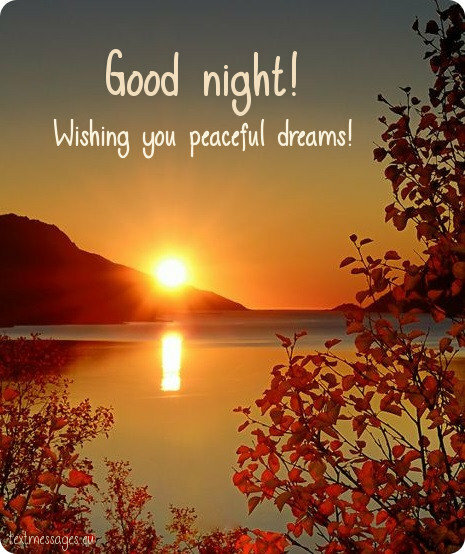 Wishing you to sleep in peace and have the best dreams possible. Good night, my sweetest friend! If you ever feel lonely in the night, you can always call me: I am ready to disturb you any time any day of the week! Love you endlessly. May this night bring you the sweetest dreams. Good night, mate! When we are together we can’t stop laughing at things no one else finds funny. I think that it’s the most important thing in friendship. We are definitely connected in a very special way. May this night bring you peace. Sleep tight! I hope you’re enjoying this magical night as much as I enjoy every day I spend with you. You are my best friend, and having someone like you in my life is such a dream come true. Thank you for everything. Sleep tight, good night! I can’t wait to see you tomorrow but now I wish you to have a good night sleep. See you soon! This night was made to help us to cope with our everyday stress and endless problems. Let your body and soul rest in beautiful peace and harmony, for you are the one who deserves it the most. Good night, mate! Every night I go to sleep smiling from ear to ear, because I think of you. A chance to meet you every day is the biggest blessing I could ever receive, and I know that you feel the same way about me. May this night be full of harmony and peace. Good night, fella! It is important to learn to live now, not thinking about yesterday or tomorrow. I know you are capable of it, and I want you to stop worrying about everything for this night. Let your mind rest in quiet. Good night, dear friend! I think that it is important to thank people for good things they do for you, that’s why I’m writing this message right now. You do good things every day, and that makes me so extremely happy. Thank you for being you, mate. Have a good peaceful night! I wish you to dive into the dream world. Don‘t think about nothing. This night is only for sleep. You can consider every morning as a fresh new start. That’s why it is so important to have a good sleep before you wake up and start living your best life. Love you endlessly, believe in you like no one else does. Sweet dreams, good night! I know that sometimes it feels like I take you for granted, but the truth is I love and appreciate you very much. You are my best friend, always have been and always will be, so don’t you forget that you are precious to me. Sleep tight, sweet dreams, mate! Even on the cloudiest night I will have at least one star to shine through this endless darkness. It’s you, dear friend. Thank you for being with me through all these years, you are a real treasure. Sleep tight, good night! Don’t you ever think about bad things people said to hurt your feelings. They do it because they are too weak to say something nice. And you are strong enough to forget about them. Sleep tight, dear friend, and have a good night! The best thing that can happen to a person is the moment when his most cherished dreams come true. So I wish you to have beautiful dreams that will become your reality when you wake up. Good night. Your every imperfection is perfect to me. I can’t say what I like about you the most, everything in you makes me feel like I’m the happiest person in the world to know you. Be strong and dream big, mate. Good night, sleep tight! A day is going to end again, but what really matters is that our friendship will last forever. A friend like you is a real treasure, and I will keep it till the day I die. Thank you for your friendship. Have a good night, sweet dreams! It’s insane how you’ve found me among seven billion people. We are perfect together, and I want to thank you for bringing harmony and peace in my life. You make my every day special. 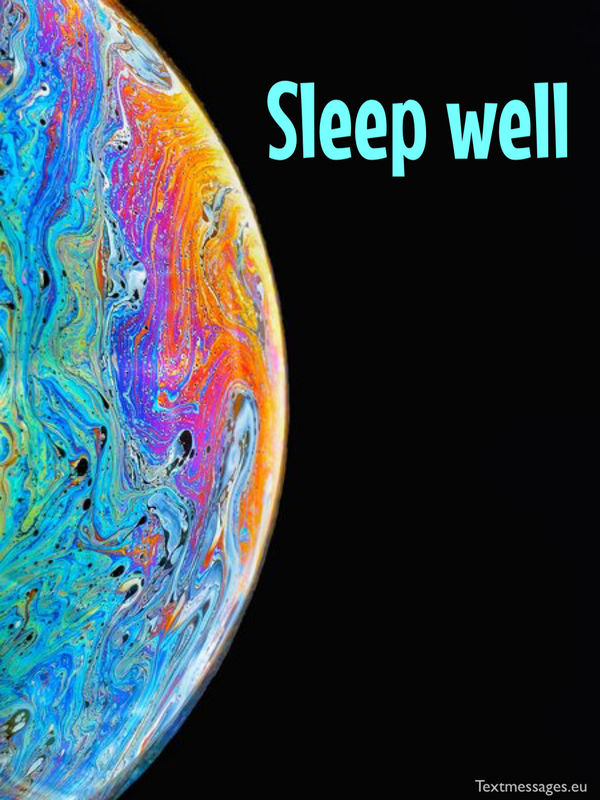 Sleep well and get up rested! People come and go, but you always stay, my dear friend. I appreciate our friendship so much; I hope that you will always be by my side. At least I can promise to do everything to make our special connection last forever. Sleep well, good night! On average, people spend 25 years of their lives sleeping. It’s quite a long time, right? But you have to make the most of it and enjoy if fully. Sleep tight and have wonderful dreams. You can’t change everything in one night, but you can change the way you think. You know, when you want to do something in the world, start with yourself. I believe that you are capable of anything. Sleep tight and have a great morning! Being your friend means always being happy. You can make me laugh like no one else can, you know everything about me, and the most valuable thing is that you can keep secrets. When I go to bed every night I think of how I’m blessed with your presence in my life. Good night, mate! Every night I get very excited, because I know that in the morning you will tell me about your dreams. Being your friend is such a blessing, mate. Sleep well, good night! My most favorite thing about our friendship is that we can talk all night long. But I love you so very much, so I know you need a good sleep. Sweet dreams, mate, sleep well. So cold outside but so warm in bed. 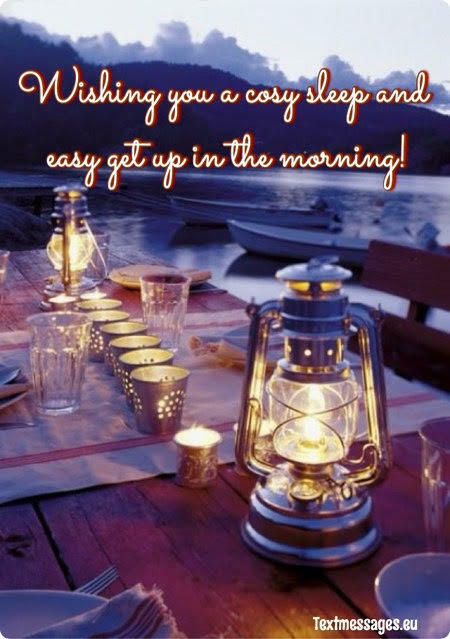 Wishing you a cosy sleep and easy get up in the morning! I want you to see only the best things in your dreams. Someone like me, for example. May all the nightmares pass you by, and may your dreams always be colorful and fulfilled with happiness. Good night, mate, sleep well. If I could I would fight all your nightmares just to make you sleep better. 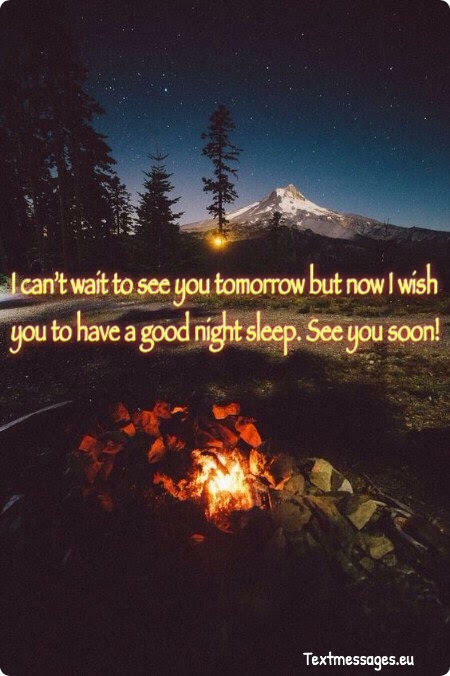 I hope that you will sleep well, and in the morning you will text me to tell about your dreams like you always do. Have a good night, mate. I like that we can text each other in the middle of the night and be sure that we will wake up to answer. This is what I call true friendship. I hope that your sleep will be good and your dreams will be full of positivity. Good night! I often have dreams with you in them, and I know you have those as well. We are always together, even when we sleep. I hope that you will rest well tonight, mate. Sweet dreams. Night is a wonderful time. It’s mysterious and charming, because it hides lots of secrets. It’s generous, because it gives us many amazing and sweet dreams. And it’s also good, because I wish you a good night! Darkness cannot last forever. Sooner or later the dawn will beat it, and morning will come. I hope that you will sleep well, and your dreams will be fulfilled with positive vibes and happiness. Good night, my dear friend! May this night fill with stars for you. I hope that counting them will help you to fall asleep quickly, and your dreams will be full of love and positive things. Can’t wait till morning to text you again. Good night, fella! You are my favorite person in the world! I wish you to sleep well, have lots of nice dreams and wake up totally rested! May this night cover you with its warm dark coat to comfort you. Sweet dreams! Good night to the best human being in the world! May your dreams be fulfilled with positive vibes and lots of beautiful things. Can’t wait till morning to hear about your dreams. Good night, sleep tight! Stop doing all your works and take a rest. It‘s time to sleep. Good night, busy man. May your pillow be soft and the sheep you count be fluffy! Enjoy your leisure time tonight and don’t forget to dream about the best things in the world. Good night, sleep tight, mate! Sometimes you can feel exhausted, and you have to learn to rest instead of quit. May this night comfort you, may your dreams be filled with positivity, may you feel safe and loved. Good night, sleep tight! Some people say that too much of everything is bad. But you work so hard that even too much sleep will never be enough for you. I hope that you will sleep well and have the sweetest dreams. Good night, mate! We can be miles apart, but it means nothing until we are in each other’s minds and hearts. That’s why you are my best friend. 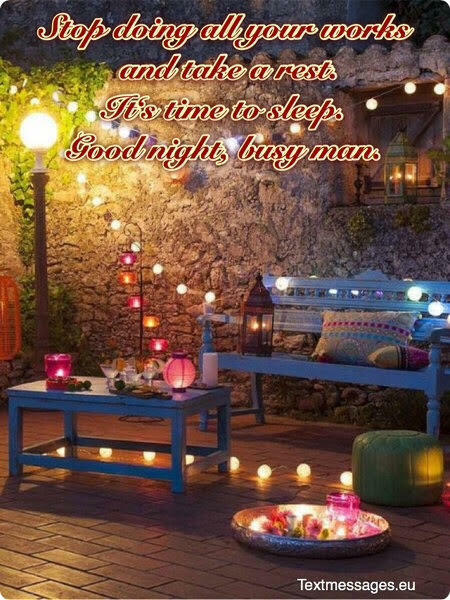 May your pillow be soft and warm, sleep tight and have a good night! Wishing you a good beauty sleep. You deserve to relax. Good night! Having you as a friend is one of the major reasons I’m so happy to be alive. You are my biggest influence and inspiration. I love you unconditionally. Hope you’ll have a good night, fulfilled with nicest dreams. Sleep tight! One of the greatest blessings a human being can get is to have someone like you as a friend. I love you and appreciate our friendship very much. May your sleep be filled with good dreams. Sleep tight, fella! No distance between us can change the way I feel about you, mate. Having you in my life is such a blessing, I can’t even explain this connection between us. May you sleep well tonight. Hope you’re having some sweet dreams. As another day comes to an end, I just want to thank you for making my life beautiful with your presence in it. Every morning I wake up thanking faith for letting me know you. Have a good night, sleep tight and dream sweet! After this hard day I want to wish you to sleep well and hope that tomorrow you will be in a good mood! I know I don’t say it as often as I should, but you are the biggest present I could ever receive from faith. I love you very much, mate. Hope you will have some great sleep, dreaming of the best things. Sleep tight! As the day comes to an end, try to forget about your worries and problems. You will cope with everything, and now it’s time for you to take a rest. May your sleep be deep and calm. Have a good night! Now, when it’s finally time to turn off the lights, I want to tell you that you are the person I want to have by my side till the end of time. Remember, that you are loved. Have a very good night and sleep tight, mate! You need a good sleep after an exhausting day. I know you work hard and have a lot of worries, but now it’s time to let it all go. 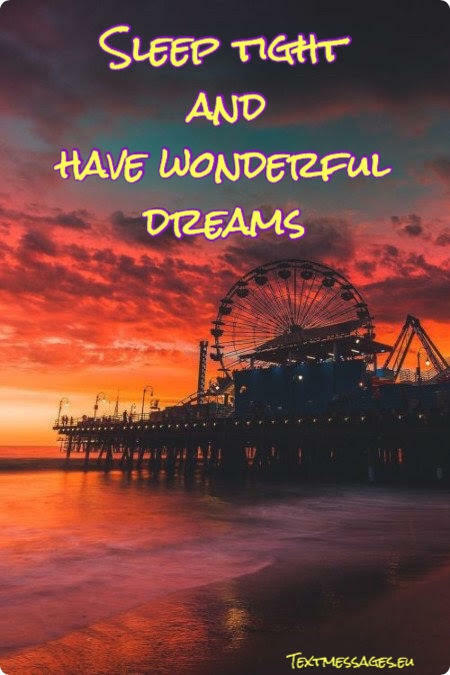 May your dreams be the happiest of all. Sleep like a baby. Promise me to get up well rested! The only thing we want after a difficult day is to get some rest and gain strength. 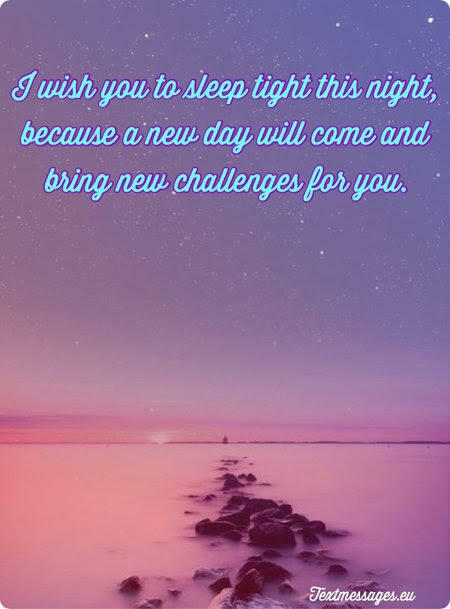 So I wish you to sleep tight this night, because a new day will come and bring new challenges for you. Be ready for them. The best things in life are free. I know that because our friendship is. May your pillow be soft and warm tonight; hope you’re having the best dreams. Good night, sleep tight, dear friend! Dear friend, you illuminate my life with your presence in it. I’m so grateful to faith for letting me know someone like you. Every day is special when you are with me. 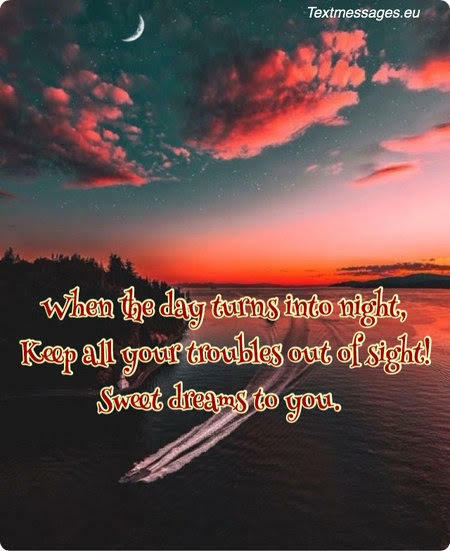 Sleep well, dream sweet and wake up rested! As you go to bed tonight, know that I will always be your shoulder to cry on. You can trust me your biggest secrets, you know that I’ll keep them. Sleep without any worries, may your dreams be filled with joy and happiness. Good night, mate! Hi. I just wanted to let you know that you mean the world to me, and I would never exchange our friendship for anything. Have a nice sleep, take a rest. May your dreams be full of nice things and laughter. Good night! I know that you are envious of me, because I will be able to sleep all day long. 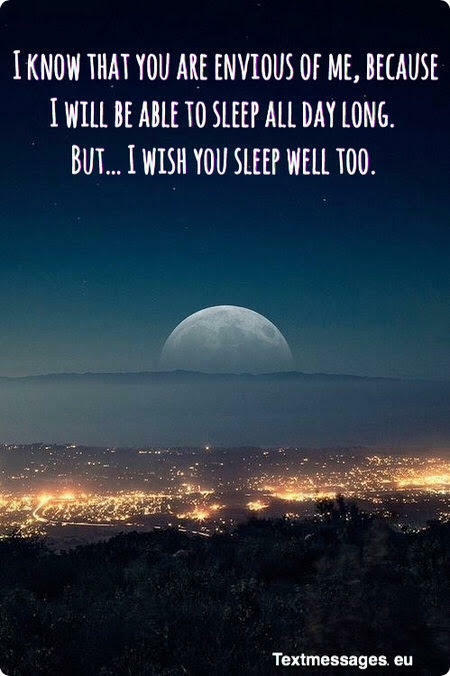 But… I wish you sleep well too. Good night! 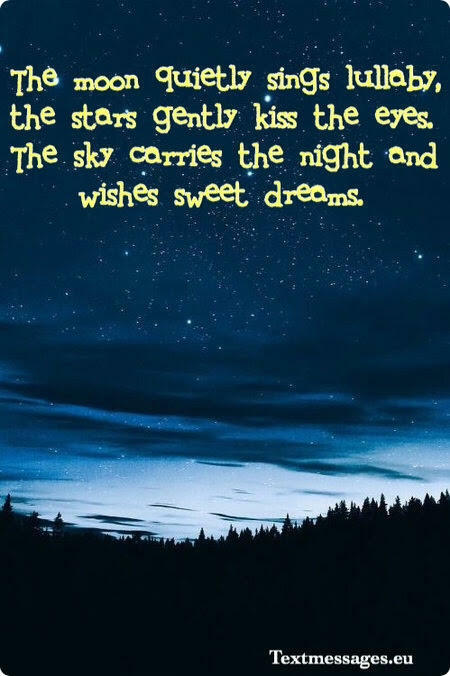 May this beautiful night comfort you as you fall asleep. You are a beautiful human being, and you have to have a good sleep to keep it like that. Sleep tight and get up well rested, mate. We have no idea what tomorrow will bring, haven’t we? But as long as we are together it will be just fine. 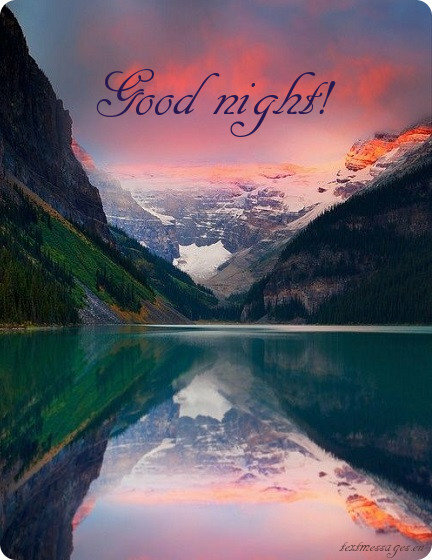 May your sleep be peaceful, may your dreams be happy and beautiful. Good night, sleep tight, mate! It’s time to throw your worries away and sleep like a baby. I’ve known you since we were little babies, I understand that it’s hard. But you are strong and capable of anything. Take a rest. Good night for my best friend! Regardless of how your day ended, don’t you ever forget that you have a friend who loves and supports you no matter what. May this beautiful night bring the best dreams to you. Good night to the most amazing human being on the planet! 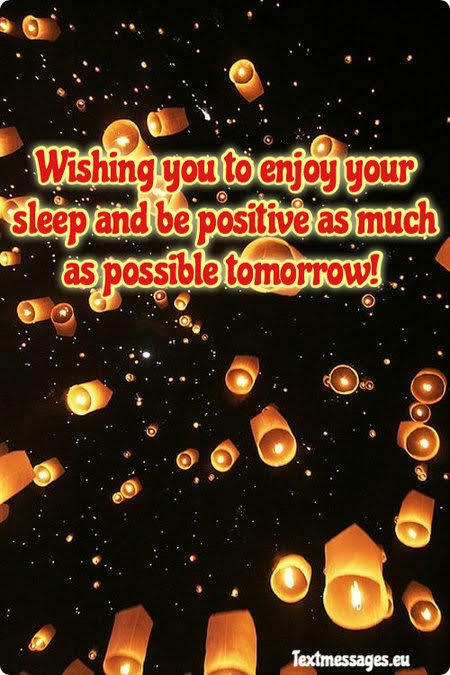 Wishing you to enjoy your sleep and be positive as much as possible tomorrow! Life is hard, and sometimes your problems don’t let you fall asleep, but you have to always remember that I’m here to support you in any situation. You are extraordinary. I’m so lucky to have a friend like you. Good night, sleep tight, mate! May angels watch over you as you lie down to sleep. You are the best person I know, and I feel extremely lucky to have you in my life. 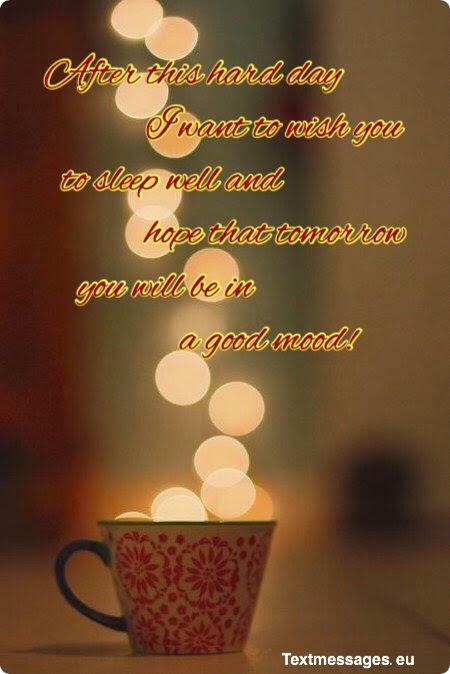 I hope you will have a nice sleep and get up rested. Good night, fella! You are the only person who can put a smile on my face when I feel down. I have no idea how you do it. I hope that I make you just as happy as you make me every day. May this night bring you some of the best dreams. Sleep tight! Don’t you ever let your fears keep you up all night. You are the strongest person I know, and I want to remind you that I’m extremely proud of you. May this night be calm and peaceful. Sweet dreams, sleep tight! The moon quietly sings lullaby, the stars gently kiss the eyes. The sky carries the night and wishes sweet dreams. No need to count what you have lost. What matters is now. You are amazing, strong and capable of anything, especially with my endless support and love for you, mate. May this night comfort you. Good night, sleep tight! Moon had appeared in the beautiful night sky, and the stars are shining so bright that it seems they are smiling at you. 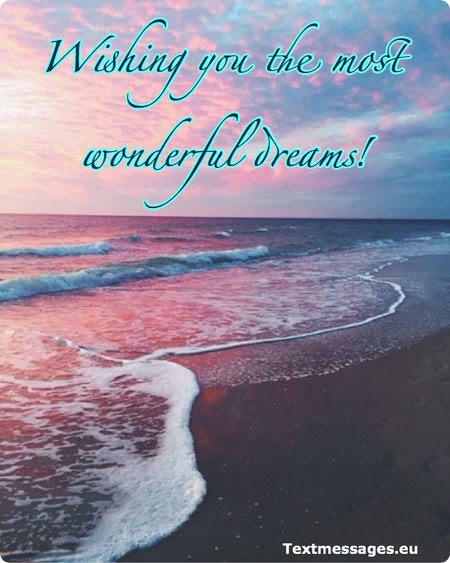 May your dreams be filled with beautiful things and positive vibes. Can’t wait to see you in the morning. Good night, sleep tight! I hope that this message will make you smile. I know I don’t say it quite often, but I love and appreciate you very much. I believe in you, mate. Take a rest and have the sweetest dreams. Good night, sleep tight! Sometimes we fight. We can even stop talking to each other for a while. But it means nothing, because our friendship is stronger than this. May this night be peaceful, may your dreams be sweet. Sleep tight and rest well, mate! 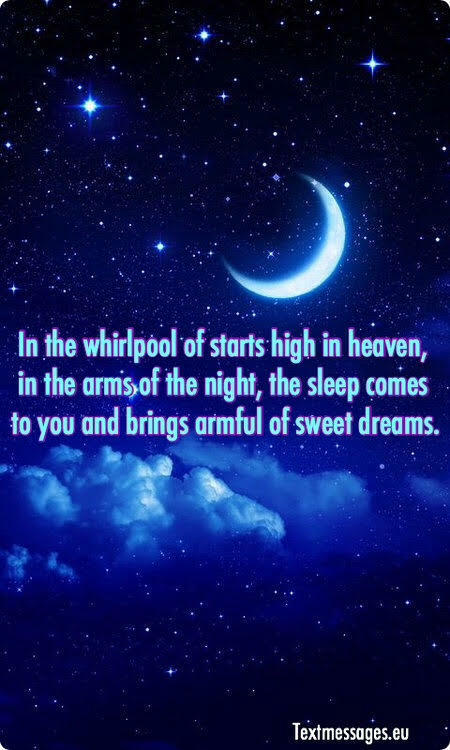 In the whirlpool of starts high in heaven, in the arms of the night, the sleep comes to you and brings armful of sweet dreams. The whole world is sleeping again, preparing for a new day to come. When the sun rises, we will be telling each other our dreams like we always do. May this night cover you with its warm dark coat so you could fall asleep quickly. Good night, sleep well, mate! Tomorrow is a new day, which means you have a lot of opportunities to turn things around. I will always be by your side to support you, so don’t you ever be afraid of anything. Have a good night, sleep well and get up rested. As you lay your head tonight to sleep, remember that you have a friend who loves you endlessly and supports you no matter what. I admire you, mate, and I know that you are capable of anything. Good night, sleep tight! Turn off the lights and think of your dreams. I want you to remember that they can come true, you only have to grab opportunities. Never give up. May this night comfort you and give you some time to rest. Sleep tight, mate! 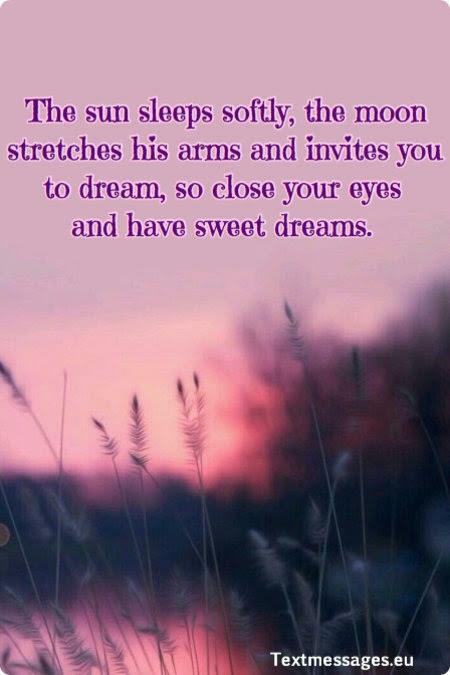 The sun sleeps softly, the moon stretches his arms and invites you to dream, so close your eyes and have sweet dreams. As you drift to sleep, let your dreams enter your mind. It is important to remind yourself that you have to dream big and do anything to be a better person each and every day. I know you’re doing great. Good night, fella! One of the reasons I love you so much is that every day you encourage me to do new things. We explore this world together, and it means so much to me. Sleep peacefully, friend, and wake up with a smile on your beautiful face. Boyfriends and girlfriends are not permanent, they will come and go, but you, my friend, are someone who will always stay. I appreciate our friendship very much. Have the sweetest dreams, good night and sleep tight! The earlier you go to bed, the sooner we will meet again to talk about everything like we always do. I hope that all your worries will go away to let you sleep tight in peace. May this night be full of sweet dreams for you. 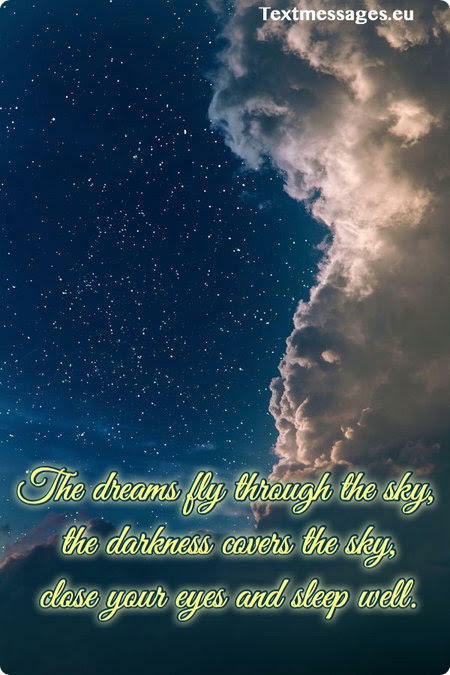 The dreams fly through the sky, the darkness covers the sky, close your eyes and sleep well. You have to remember that sometimes you cannot fix a problem. It means that you have to learn to move on. I know you are strong enough for that. May this night comfort you with its calmness. Good night, mate! As long as we are friends, I sleep tight and have the sweetest dreams possible. I hope you feel the same way about me, mate. May this night comfort you with its beautiful calming darkness. Good night, sweet dreams! I could have sent you something funny, sweet or cute, but I’ve decided to simply say that I love you endlessly. You are my best friend, and I appreciate you very much. Have the sweetest dreams and sleep tight, mate! Dear friend, may all your troubles and concerns be left behind. Night is the right time to rest and recharge for a new day. Sleep tight. Keep all your troubles out of sight! If you suffer from insomnia, then try to count stars. You’ll be counting them right until dawn and then you won’t need to go back to sleep. Just kidding! Good night. If you had a very busy day and felt like a hamster in a wheel, then I wish relaxing and peaceful dreams could take the edge off on a stressful day. But if you had a really boring and dull day, then I wish you exciting adventures in your dreams! 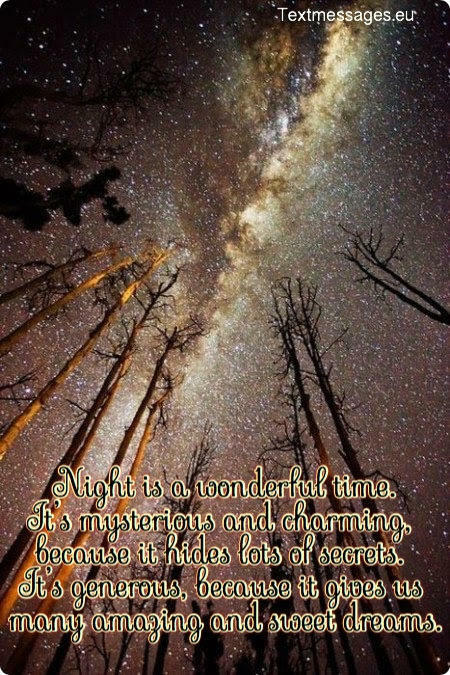 May night coolness soothe you mind, may shining stars sing you a stunning lullaby, and may your dreams be nice and peaceful. Sleep tight, my friend, and prepare for a new day. I wish a good night to the most hardworking person I know! 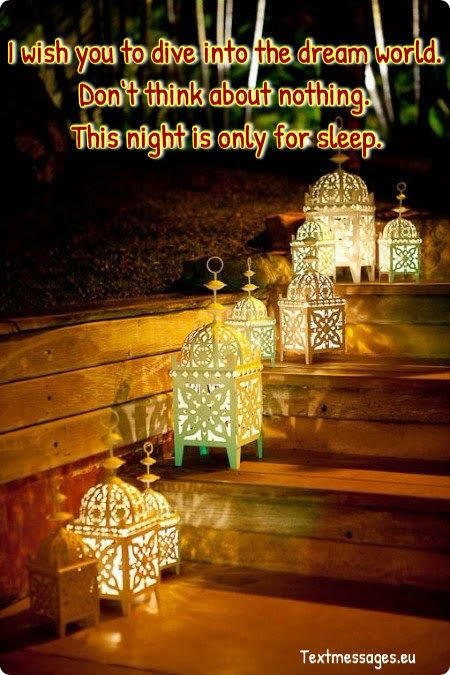 May this night bring you ease and relief, and may your dreams be wonderful. To hug, to kiss and say “Good night”. There are only two remedies against tiredness and sadness, and those are tea and good night rest. So have some tea and go to bed. You will feel better in the morning, I promise. I have already called the Night fairy and asked for the most astonishing dreams for my best friend. All you have to do now is close your eyes and enjoy them. Good night! You had a hard day, my friend. And now you need to take a good night rest, recover your energy and greet a new day with a wide smile on your face. Sleep tight. Night is the time that divides two day times. Night is able to heal and change many things. All you have to do is left your troubles to the previous day and enter into a new day with a rested and fresh mind. Good night, buddy. 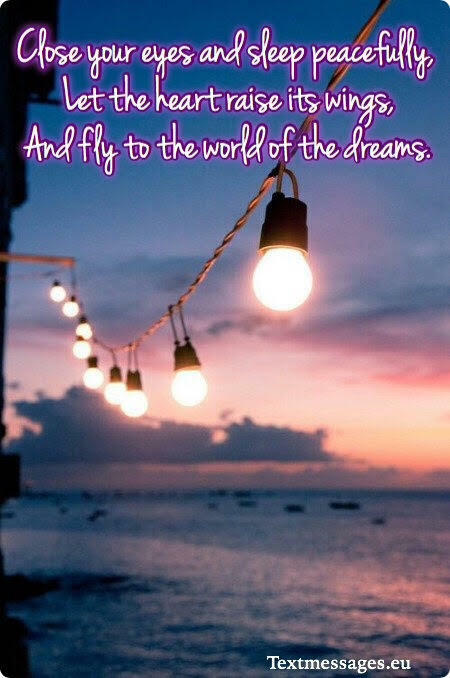 And fly to the world of the dreams. If you feel extremely tired and want to forget about the world, then let the night handle it. Just relax and put yourself in the hands of Morpheus. May your sleep be tight and peaceful. Buddy, you’ve been working so hard recently. Don’t you forget to have a proper rest from time to time? I bet you need a good sleep. If you want to proceed being so efficient and successful at work, you need to rest. Good night! I really start to worry about you, buddy. You are working day and night. No one is limitless, and you should know that. Take a good rest and let yourself sleep in. Good night! Don’t spend the night staying up and working late again. Go to sleep and enjoy the best dreams your imagination can offer! Sleep tight, buddy. Sleep can never be enough, so I strongly encourage you to finish your work and come home for a nice nap. Good night! If all your dreams are about having a good rest, then it’s time to make these dreams come true! Turn off your phone, leave all your concerns behind and crawl into your soft and warm bed to have a magnificent sleep. 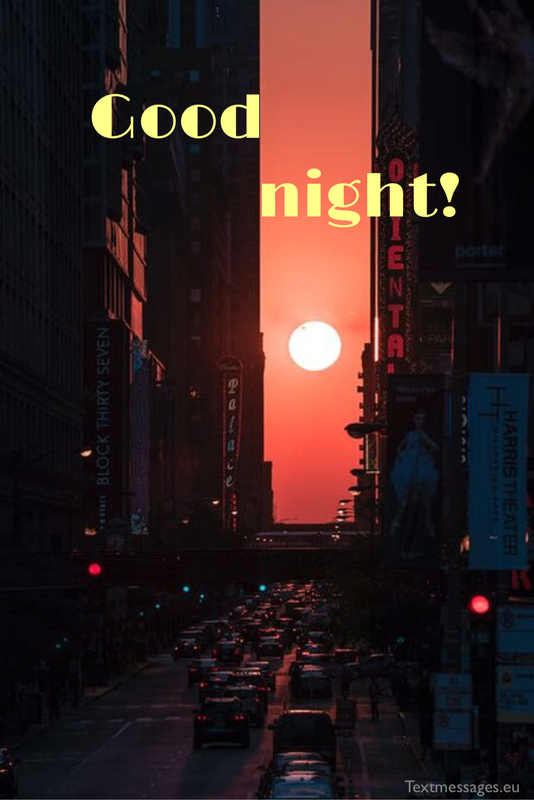 Whether you’re going to the party tonight or having a tight sleep after a long week, I wish you to have a good night! Night is not the right time for lying awake and thinking about the mistakes of your past or regretting things. Clear your mind and relax. Just sleep. And wish you sweet dreams! Every night means a new day coming up soon. New chances, new challenges. Night is a thin line between your past and your future. You can’t change your past but you can regain your strength at night and greet your future, happy and rested. Although you are a very hardworking and responsible person, you should know that the only way to continue working at this rate is to have a good night rest regularly. Just listen to me and go to bed. Good night. Nights were created for filling us with strength and energy. Days were created so we could spend this energy wisely and meaningfully. You work really hard, buddy, and you shouldn’t neglect your night rest. Sleep tight! According to recent research, people who sleep very little feel unhappier then those who have a proper night rest. Buddy, I wish you to sleep well and thus to become happier and healthier! So close your eyes and take a trip. 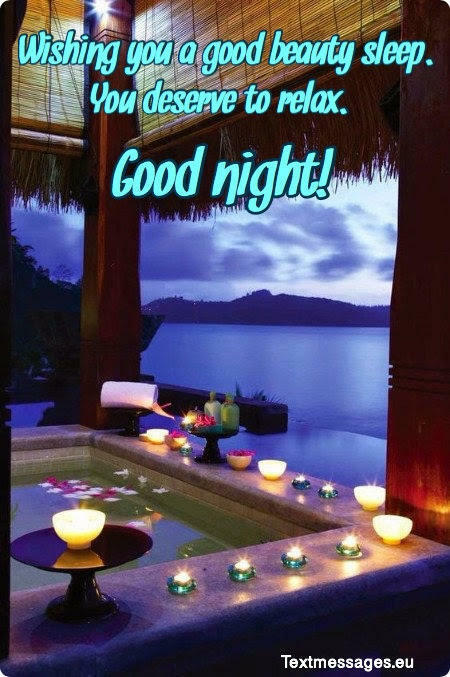 When you come home tonight after a long working day I wish you to get into your bed and have a nice sleep. You deserve it! I always have the same dream… The dream about me sleeping in finally. Such a shame it’s only a dream! If you have the same issue, I wish you from the bottom of my heart to return home and spend the whole night sleeping like a baby. The older I get the less I want to spend nights having crazy parties. The only thing I want is to fell asleep and sleep all night and day. Wish you the same, buddy. Good night! Your body and your mind need some real rest. Just relax and let all your problems go. Sometimes a good sleep can clear your mind and make things better. Trust me and sleep tight!